The Cincinnati Reds will be without their slugging outfielder, Jay Bruce, as he will undergo surgery to repair a partially torn meniscus in his left knee. 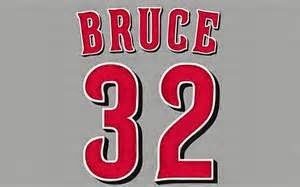 Bruce will miss 3-4 weeks. Jay Bruce was hitting just .216 with 3 home runs and 16 RBI. The lefty has hit at least 30 home runs in each of the previous 3 seasons with the Reds. Chris Heisey will likely become an everyday player until Bruce is ready to return.